On common question I often get asked is in regards to supplements. In general, I believe that we should get our nutrients from food. Whole food is the best source of vitamins and micronutrients. With that being said, sometimes in our busy schedules it is tough to get all the nutrients we need and that is when supplements can play a great role into your nutrition. I tend to keep my supplements really basic and usually just use a multivitamin, fish oil, and protein powder. There are a lot of questions about protein powder that I get so I wanted to write a post sharing with you guys the protein powder I love and have used for years. 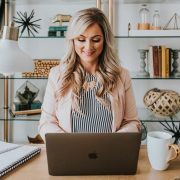 *UPDATE* Earlier this year I called MRM and worked out a deal with them where you guys can get 40% off your entire order from their website if you use the code: NATALIE at checkout! This includes all their product, apparel, etc. I hope you guys take advantage of this awesome deal! I have been using MRM’s All Natural Whey for the past since 2011. I have used it while I was pregnant, nursing, and now that I am not pregnant or nursing. 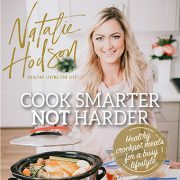 If you have questions about protein powder during pregnancy I wrote a great blog post you can read here going into detail on my philosophy there. What I really like about this protein is that it is sweetened with stevia (natural sweetener derived from a leaf) and not sucralose (Splenda). I have tried a few different protein powders sweetened with stevia and in my opinion MRM’s tastes the best and does not have a bitter aftertaste to it like some stevia products do. 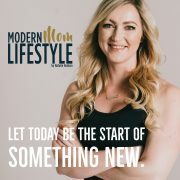 I had a chance to talk with Cleve Genzlinger, Product Educator at MRM, and he gave me a lot of helpful information about the All Natural Whey! I have the personality where I like to know exactly why I am doing or taking something and he really helped break down for me the ingredients in the whey protein and what each ingredient is used for. Here is a little background on whey protein and why I like to use it. Whey protein is great to use when trying to gain lean muscle because it has a complete amino acid profile. Some consider it the perfect protein and is very well absorbed. 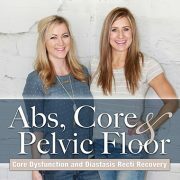 It typically gets into your system within 20-40 minutes and is totally absorbed within 60 minutes. When you consume protein, it is digested and broken down into amino acids and then your liver processes the amino acids for whatever rebuild is necessary for repair. The reason athletes so frequently eat protein is because they are constantly breaking down muscle tissue during their activity. This stimulates the brain to produce more growth hormone and repair the tissue that needs repaired. For example, if I work quads, my brain multiple times a day will say ok we have damaged quads, we need to repair them with growth hormone. This is a process that naturally occurs within your body. When you lift weights you get little micro-tears in the muscles that were exercised. The amino acids from the protein helps to repair those micro-tears. 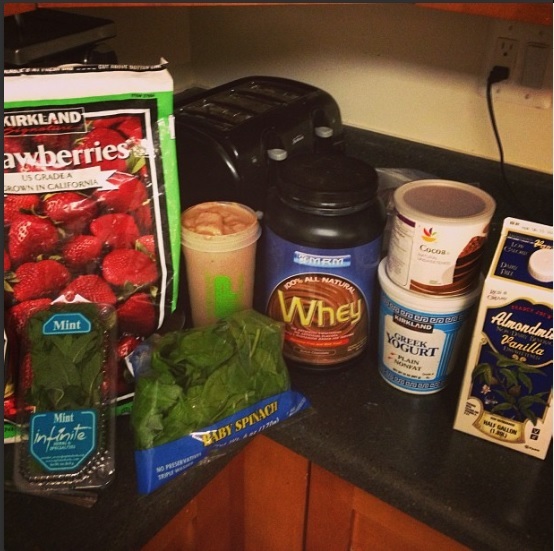 Strawberry Chocolate Mint Protein Shake I’ve made in the past – yum! All Natural Whey is composed of 85% whey protein concentrate, the other 15% is whey protein isolate. MRM’s whey is all domestically sourced from multiple dairies in the US. They are extremely particular about which farms they source their whey from and no hormones or antibiotics are given to the cows they get their whey from. To create the whey powder they push milk through ceramic screens (this process is called particular exclusion). Protein is a large particle and will not go through screens although fat, water, and sugar will. That is how they remove the fat and sugar from the whey. Depending on the size of the screen they can remove most of the fat, water, and sugar. Whey Isolate is virtually fat free and sugar free because it uses a smaller screen. Isolate takes longer to produce, is more expensive, and absorbs quicker. A lot of athletes like it because after a workout they can take an isolate and it will get to the tissue quicker. It is usually quite a bit more expensive than the whey concentrate because it takes longer to produce. MRM’s All Natural Whey has a digestive enzyme called NitroZyme that is added to it help your body digest the protein. This helps to make use of a greater percentage of amino acids. Our bodies produce digestive enzymes but depending on your diet, age, etc we may not produce enough of it. 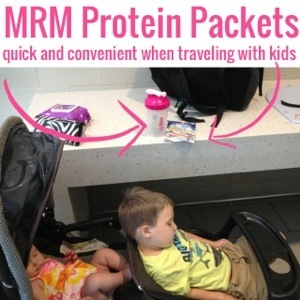 MRM’s protein is not treated with any solvents or high heat. 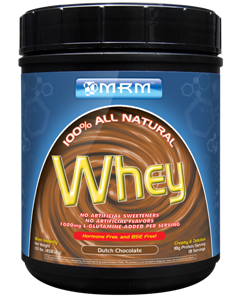 MRM has three flavors for their all natural whey: Strawberry, Rich Vanilla and Dutch Chocolate. I usually just get Rich Vanilla and then when I am in the mood for chocolate I add 1 tbsp unsweetened cocoa powder to my shake, but the dutch chocolate flavor tastes great too, and sometimes I will even add some unsweetened cocoa powder to it for an extra rich chocolate taste. I use the vanilla whey when I make all my homemade protein bars and it doesn’t give them a strong ‘protein powder’ taste which I like. The strawberry has real bits of freeze-dried strawberries in it and tastes so good, it is my favorite flavor right now. Have you tried MRM All Natural Whey before? What are your thoughts? 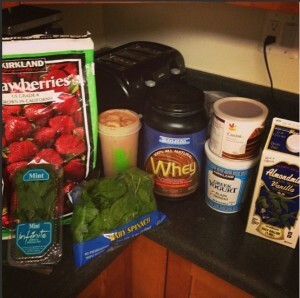 What is your favorite type of protein powder? Doesn’t it bother you that it contains soy and carrageenan, though? I want to try it, but hate that they use these two ingredients! Hey Jaye! No, the carrageenan doesn’t bother me. It is used as a thickening agent and is what gives food items a creamier consistency. There is a confusion of ‘degraded’ carrageenan vs ‘undegraded carrageenan’. I would agree that ‘degraded’ carrageenan is bad (especially when injected intravenously into the bloodstream, which has been done to animals). But they are two different compounds and actually if we used ‘degraded’ carrageenan it would not be a good thickener at all. I have done a lot of research on this and this is what I have found. Authoritative and scientifically complete information from trusted sources is necessary to see the complete picture and draw accurate conclusions. Independent food safety authorities, including the JECFA (Joint Food and Agriculture Organization/World Health Organization Expert Committee on Food Additives), work in the public’s interest and review extensive scientific studies on ingredients used by the food industry. These independent authorities are not affiliated with the ingredient industry. These authorities have concluded that many ingredients, including carrageenan, are safe for use in food. Where I believe some of the confusion arises is that there are different types of carrageenan, degraded and undegraded. The degraded carrageenan has been used in animal studies with negatives results, often times by injecting large amounts of degraded carrageenan or poligeenan directly into the blood stream to initiate a known inflammatory response for testing purposes. The undegraded carrageenan, used in foods, is high molecular weight and is structurally, characteristically and functionally very different than low molecular weight degraded carrageenan. Try the all natural whey isolate version. I was going to try the all natural MRM whey when I saw one of the comments mentioned they use carrageenan. I have heard ALL bad things about it and especially that it’s causes digestive tract inflammation. That’s the last thing I need. I know carrageenan comes from seaweed but just because something is “natural” it doesn’t mean it’s good for you. Do you know if the company still makes it this way and are there any plans to make it without carrageenan? I’m not a fan of strawberry unless it’s the fruit but I thought I would give this a try. OMG! I love it! It’s so yummy! Thanks for your review. I’m trying to cut down on sucralose which is in the Beverly International protein I typically use. Do you just use1 scoop? I just bought the chocolate and it says1 scoop to 3 to 4 oz. That’s not much liquid.